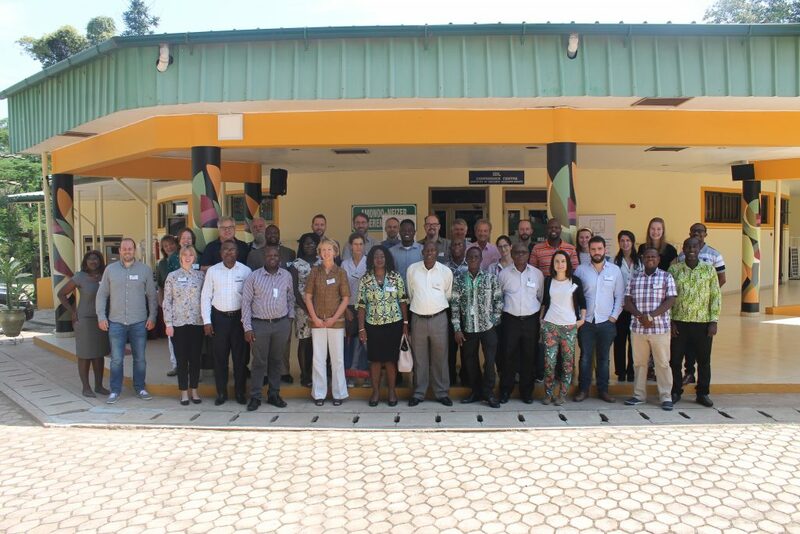 TWIGA partners together in Ghana! The first week of the TWIGA days consisted of meetings, workshops, and conferences. The first day (Monday) consisted of updates from all the TWIGA partners about the progress made in the previous period. All updates about the projects that have been completed and are still in the developing stage and problems that have occurred have been included. The Tuesday consisted mostly of workshops. Here, the TWIGA partners split up into three groups; biosphere; hydrosphere and atmosphere. In these workgroups, the partners discussed various new services that could be developed. They made a feasibility and cost analysis and then chose one of the possible services to discuss further. 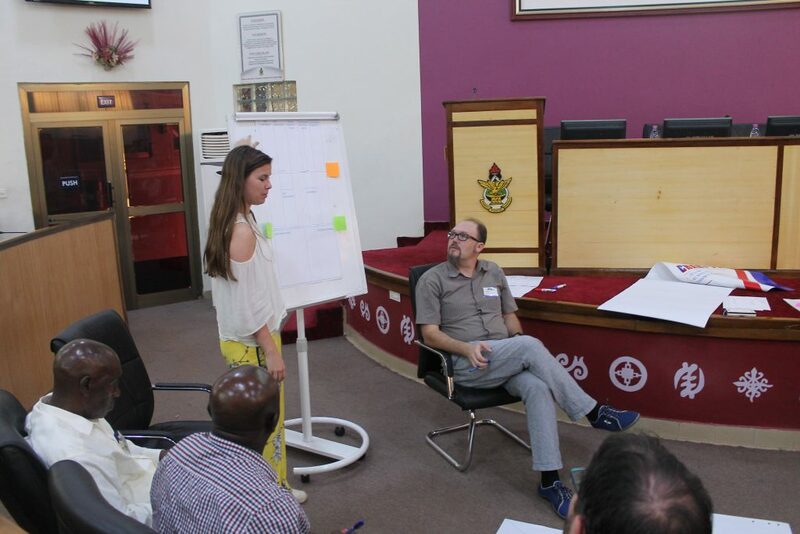 TU Delft students chair a meeting to develop business models for TWIGA services. The students will focus their internship on the development of these business models for these services in the upcoming months. On Wednesday the group participated in a user needs assessment workshop with local farmer-& agribusiness representatives. For this workshop, the team split up again and gave advice about how a user needs can be identified with the Business Model Development method. This workshop was held to identify the farmer’s needs and the agribusinesses needs, with these needs, the corresponding services that TWIGA could deliver were identified. The user needs assessment revealed that services are required, but that facilitating these services is very expensive and might not provide the desired result that the farmers would want. Also, the needs of farmers and agribusinesses match quite well, both would benefit from a lot of services. Interesting was that the users mentioned that they need education and capacity building in farm management knowledge. For example, it is greatly beneficial if a user knows when and how much fertilizers or pesticides needs to be applied. This need can go hand-in-hand with the weather services that TWIGA provides. Since the leaching of fertilizers or pesticides correlates with the weather. On Thursday the TWIGA partners stretched their legs on a field trip. The weather station was right on the campus of KNUST (Kumasi University). Continuing to the next weather station at a palm oil plantation where a soil moisture sensors were included. After these visits were made, all the partners visited a flood site, a bridge over a river in the neighborhood of Aboabo, were many floods take place on a yearly basis. In this situation, the risks and health hazards of floods could also be identified. The floods and blocked drains in the neighborhood made many houses be filled with water on the bottom, like in the picture below. 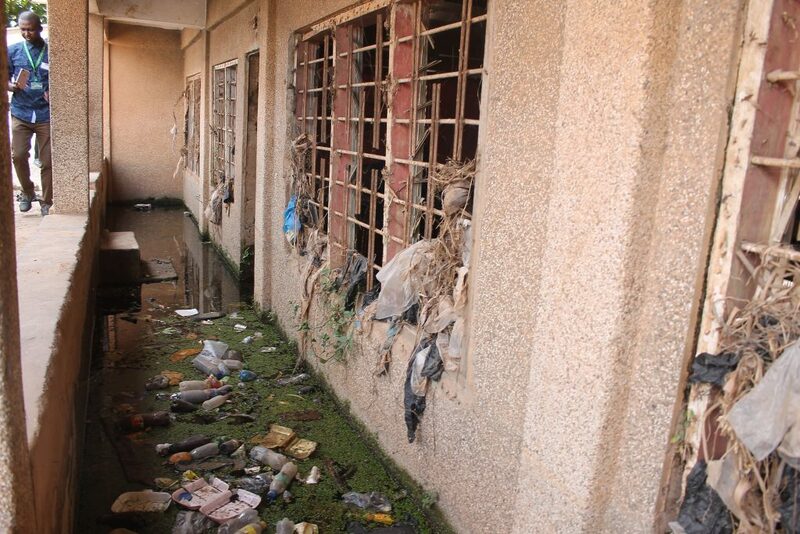 This has made numerous houses uninhabitable and the stagnating water in the area becomes a breeding spot for mosquitos and vector-borne diseases. Flooding affected a local mosque in Kumasi. 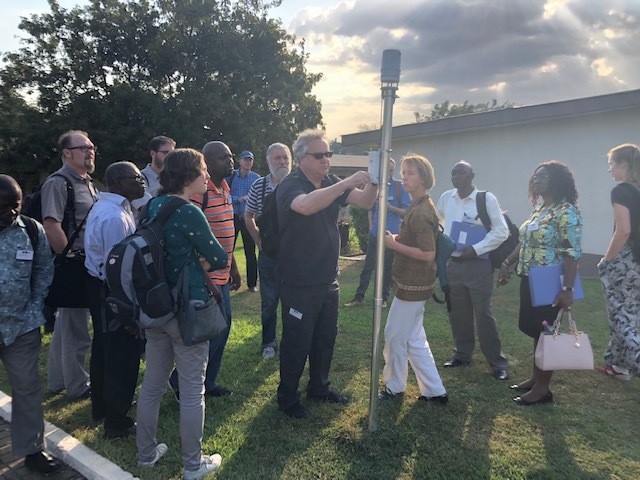 Lastly, the group visited a farm, to inspect it for possible placement of a soil moisture sensor (a cable covering the entire field). This sensor can measure which parts of the farmland are in need of moisture of fertilizers, aiding in the efficiency of farming. A great additional benefit to the TWIGA services. All in all, the TWIGA days illustrated the great need there is for weather services. Looking forward to the next partner meeting! **Written by Roxana Vafa, Rosalie Middendorp & Anne Schermerhorn. Students of the Delft University of Technology.